2.5 stars. 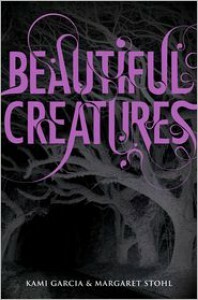 I picked up Beautiful Creatures thinking that I might want a refresh before the movie comes out. I couldn't get past the first few pages. This is not the right type of book for a re-read. Honestly, the book was fine the first time around, but I was pushing my luck by trying to go back over it. Originally, I gave Beautiful Creatures a three star rating for being interesting enough, but not really a grabber. I realized upon trying again for a second time, that I was being far too generous in giving a 3 star rating. I'm extremely picky about my doorstop-sized reads - either every page is worth the read, or you find yourself skimming. However, I completely understand why some people love the Caster Chronicles. Fans of this series are fans for a legitimate reason. There is a style of writing here which works well for people who don't mind witnessing the small details in the journey. Unfortunately, I really don't, unless those details are absolutely captivating. This might be one of the only cases in history where the movie is actually better than the book. The best thing about Beautiful Creatures is the setting and lush descriptions of mood and atmosphere. Those are elements which will lend themselves well to a movie adaptation (hopefully).Ethan and Lena are wet dishrag characters. It took me several pages of reading before I realized that the narrator was male. I honestly didn't know. Lena was mopey and depressed me. The true stars of this series are Ridley and Link. They are the reason I keep reading, and the reason that I will watch the movie...at least when it comes out on DvD. I don't think I'll be heading for the theater to catch this one. I'd rather spend my money viewing [b:Warm Bodies|7619057|Warm Bodies (Warm Bodies #1)|Isaac Marion|http://d.gr-assets.com/books/1323400027s/7619057.jpg|10090210] instead.